Connor O’Brien is the CEO and President of O’Shares, a rules-based ETF designed to provide investors with the means to invest in some of the largest global companies that derive most of their revenue from the Internet and e-commerce sectors that exhibit quality and growth potential. Mr. O’Brien has extensive global investment experience encompassing over 25 years of involvement in the Canadian, U.S. and international markets. 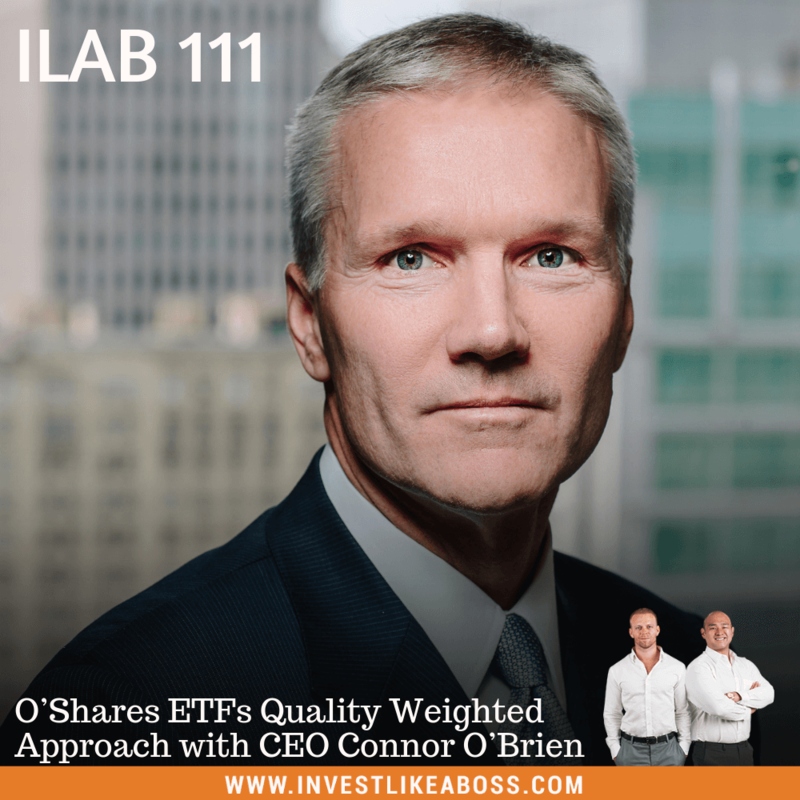 During this episode, Mr. O’Brien will share a series of ETFs designed to be core long-term investment holdings. He will talk about the rule-based approach that provides attractive performance and limited volatility with an emphasis on income. Expect to truly learn how to ‘Invest Like a Boss’ with this simple and straightforward strategy. Listen to ILAB 111 on iTunes here or subscribe on your favorite podcast app. 04:17 – Initial thoughts on this ETF? 24:10 – What influences the weight of stocks and do they ever change? 36:17 – When will companies pay out dividends?